Contribute: Empower this Strategic Ministry to Continue and Grow. Make InternetMinister.org your "Home Page" - a great prayer reminider! 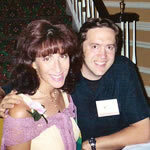 Hello, I'm Scott Reese, (not my virtual assistant Lisa), I am an Internet Minister and Urban Missionary. http://internetministry.info gives an overview of Internet Ministry i.e. Internet Evangelism. It contains Tony Whitaker's web-evangelism guide which has a multitude of links and exhaustive information about Internet Ministry. "Internetministry.info" is a great starting place for those who want to better understand the concepts of Internet Ministry, also called "online ministry", "eministry", or "web ministry", or "digital outreach." 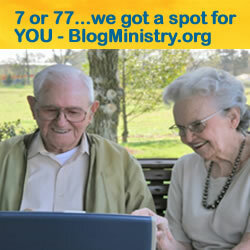 http://blogministry.org trains you how you can use blogs and blogging for evangelism. Opportunities are available to join a christian blog team for the purpose of sharing you faith. YOU CAN DO THIS - it's easy, and as a part of a team you'll have support and encouragement. No "computer knowledge is needed", just a willing heart. We are now excited to announce that we are partnering with www.boc.org (BodyOfChristonline.org) to develop these strategic Christian Community Groups. In some ways it will be a safer version of "myspace". In other ways it will be better in that it will foster communication and collaboration among Christians. Soon I will share more about this strategic partnership with the boc team and it's founder Nick Shelton. An innovative and strategic plan to support International Missions through empowering native missionaries and the development of foriegn ministry websites. Information and free resources for Internet Evangelsm Day. internetminister.org is a division of Reconciliation Resource Ministries, a 501c3 Christian non-profit organization. Information on this ministry and how to make a financial donation is found HERE. "Adventures of a Web Evangelist"
Is where Scott Reese shares his ideas, vision, and passion for Web Evangelism - your comments and imput are very important. webevangelism.com - The Internet Evangelism Coalition - training, ideas, sponsor of the Internet Evangelism Day, and great annual "Internet Evangelism Conference" in Chicago every September. whoisjesus.org - The gospel in many languages. gospelcom.net - a leader in online ministry. nowtrygod.com - questions and answers about God. Sponsored by Gospelcom.net and the I.E.C. GrowinginChrist.com - An excelent place to send new believers, sponsored by Campus Crusade for Christ. evangelismtoolbox.com - many evangelistice resources. http://www.everystudent.com/ - Great for "seeking" college students. http://cybertracts.net and http://fishthe.net - have many cyber / online witnessing links and resources. peggiesplace.com - a good example of what can be done! e-vangelism.com - Internet Evangelism Author Andrew Careaga. Bible.org - Digital, copywrite free, Bible. Bible Study helps etc. strategicdigitaloutreach.com - Frank Johnson and Dave Dias; a great Web Evangeism Blog. cybermissions.org - John Edmiston's Cyber Mission Training. OurChurch.com - Christian Web Trends - Paul Steinbruick & others keep you updated on Internet Evangelism Strategies. BibleGateway - Add Bible Study resources to your website. THERE ARE MANY OTHER WONDERFUL WEB EVANGELISM, ONLINE MINISTRY, INTERNET EVANGELISM RESOURCES ... I PLAN ON ADDING MORE IN THE FUTURE. www.webevangelsim.net - Web Evangelism, Internet evangelism, internet ministry opportunities and instruction. "web evangelism": "Internet Evangelism", "Internet Ministry", Web Evangelism, Bridge Sites, Blog Ministry, witness, Christian missions,are search terms to help people find this page. Would you to receive our monthly email NEWSLETTER? Yes No How did you hear about our site? We are compiling a list of those interested in teaming up with us in various ways.